What’s the best way to apply makeup? This is a common question among amateur makeup artists and men and women who’re just starting to explore the intricacies of the art. The question has merit: there are a lot of makeup brushes today, even sponges, each of which are created with a specific product or use in mind. There is, however, no single best way to apply makeup. In fact, many like to mix up how they use makeup applicators. Take for example Kylie Jenner who uses a brush to apply moisturizer instead of massaging the cream on her skin with her fingers. Before anyone can start interchanging applicators, however, they need to learn their original uses first. Concealers don’t come with a free brush or applicator, although makeup artists often use moistened sponges to minimize finger-to-skin contact (for hygiene purposes; fingers can retain bacteria, dirt, and oils). Having said that, concealers and foundations are most commonly applied using fingers. It’s because creams, in general, are easy to spread and manage using the fingertips. It’s also advisable to use the fingers when applying luminizing foundation and concealer just beneath the eyes. The skin in this area is delicate and prone to wrinkles, and people might have a hard time controlling the force of their strokes when they apply makeup using a brush or sponge. It’s better to apply concealer and foundation with light pats using the pads of the fingers, preferably with the ring finger as it is the weakest and exerts the least force. Finally, using fingers as applicators minimizes waste. A significant amount of cream or makeup powder often sticks to bristles and sponges. The advent of beauty blenders cemented sponges’ place among the top choices for makeup applicators. These teardrop-shaped sponges are now staples in professional makeup artists’ beauty kits. Apart from beauty blenders, there are also disc or flat sponges, pear-shaped sponges, triangle wedges, and flat-ended teardrop sponges. All these are excellent for applying pressed powder and creamy products. They’re also helpful when contouring. The only downside is that most sponges absorb a lot of product that ends up wasted and washed off. For makeup that requires sharp, precise strokes, brushes are the best choice. 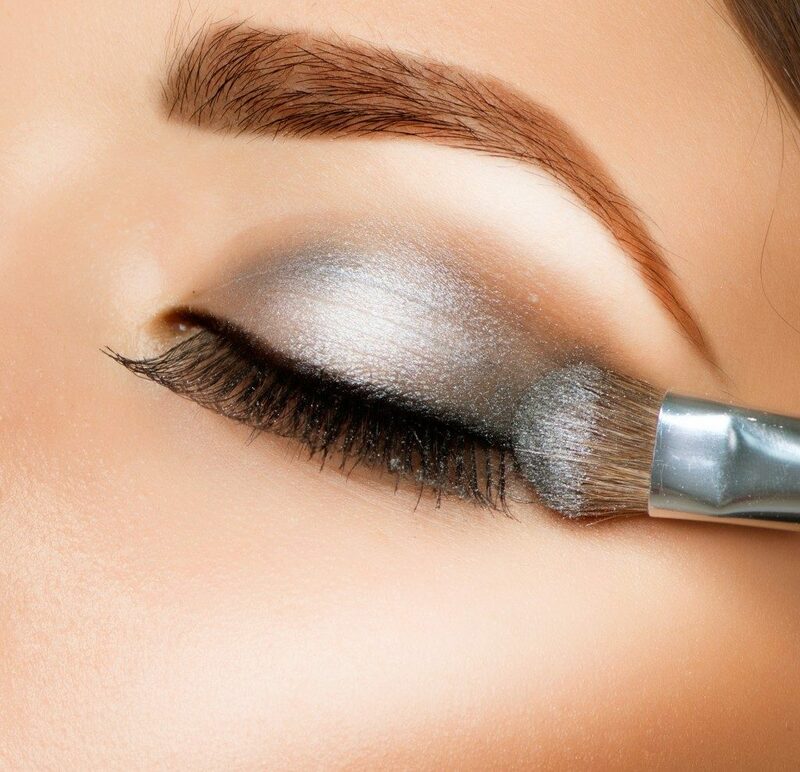 Brushes are excellent for blending loose powders in small areas, such as the eyelids or along the nose line. They’re also very useful when using loose, heavily-pigmented eye shadow and blush powder. It’s difficult to make colors and shades pop using fingers or brushes as both tend to blend makeup rather than make them stand out. Brushes allow users to control the thickness and depth of the makeup colors, as well as the softness or sharpness of the brushstrokes. Also, makeup brushes come in different shapes, forms, tips, and strands. Users can create different effects with just one brush or combine different brushes to achieve a sophisticated look. What’s great about makeup is there’s no need to stick with just one applicator. Professionals and everyday users simply have to choose what they’re comfortable using. It all boils down to personal preference. It doesn’t matter if they used their fingers, sponges, or brushes as long as users know what effect they’re going for and that they achieve the effect.